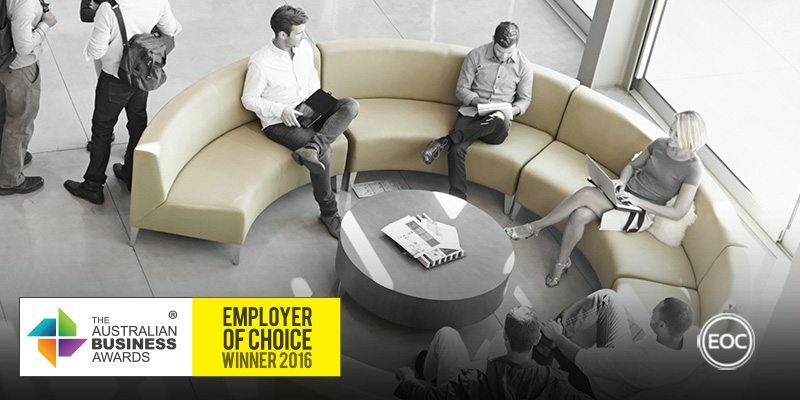 The Whiddon Group has been recognised as an Employer of Choice in The Australian Business Awards 2016. “It is an honour and a fantastic achievement to be recognised as a 2016 Employer of Choice through the Australian Business Awards. Whiddon has long been acknowledged as being an innovative, people-centric and industry leading organisation. This award speaks to the effort we make to recognise the outstanding people throughout all of our services that make Whiddon the wonderful organisation it is today. The Whiddon Group is a large not-for-profit organisation that has been providing care and support services to the elderly and people with a disability for over 60 years. Whiddon emphasise nurturing, care and support in the provision of their services, but also as the foundation of their workplace culture. This manifests itself through the organisations employee-value-proposition called “The Whiddon Way”, which focuses on applying their culture throughout the organisation. Comprehensive induction processes and communication tools have also been developed by Whiddon to ensure that The Whiddon Way is understood by all employees. Given that the organisation employs hundreds of workers each year, they strive towards two-way employee engagement that creates good outcomes for staff and, by extension, residents. A learning and capability framework underpins the communication of The Whiddon Way, including orientation programs for all new employees and mandatory training programs that are designed to be specific to individual roles, allowing for specialised education in important functions. External training is also supported through the provision of employee scholarships to TAFE and University courses. This emphasis on training extends up Whiddon’s corporate structure to senior leaders, who attend leadership conferences twice a year. Remuneration processes at Whiddon work in close conjunction with performance reviews. Performance improvement measures are taken for employees that require extra support, whilst those who demonstrate high performance receive recognition through a dedicated program. These employees can also be nominated for an “Above and Beyond Award” that honours those who go beyond the scope of their regular duties in the spirit of The Whiddon Way. Whiddon also strive to maintain a comprehensive health and safety program that provides a safe environment for all stakeholders. Regular environmental audits are completed to identify new or emerging risks and a building services team conduct regular service visits to manage identified infrastructure issues. Additionally, Whiddon use RapidInduct, a contract management software, to provide education that helps to ensure compliance with regulatory safety requirements.